One of our oldest clients, the BC Association of Travel Writers membership site features BCATW member profile pages, a monthly newsletter. PayPal is enabled for easy dues payments. Mari designed a beautiful site that graphically represents the travel experience using a theme that allows us to showcase our photography. She listened closely and found the solutions we needed to present the information the way we wanted it. Additionally, thanks to Mari’s thorough training skills, our members are now able to design and create their own profile pages as well as post to their heart’s content. 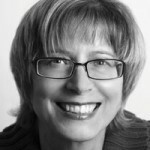 I would whole-heartedly recommend Mari for both designing sites as well as training users on WordPress.